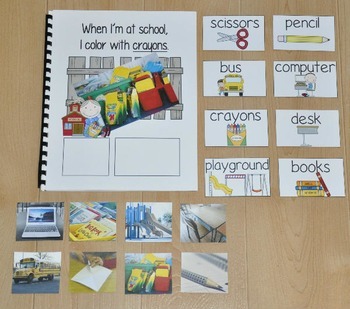 This Back to School Adapted Book, "When I'm At School," brings a school to life with real photos. 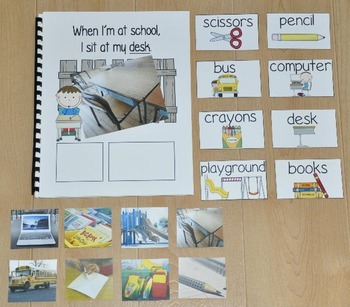 It teaches basic reading skills, school themed vocabulary, and includes real photos of school related objects and activities. A teacher or therapist reads the book, as students follow along, matching a photo and word to each page. 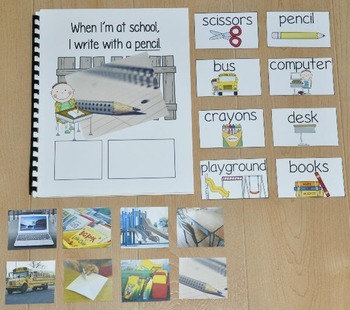 This book includes two levels of matching: words with pictures, and just words so that students may work at their level. 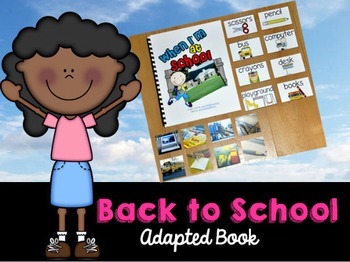 After the book has been introduced, students working independently may practice the book in a workstation or literacy center.